The scriptures speak of a restoration of all things, Elias coming back to restore all things, and a dispensation of the fullness of times (Eph. 1:10, Acts 3:21, Matt. 17:11). Besides The Church of Jesus Christ of Latter-Day Saints (LDS church), does any other church believe these scriptures were fulfilled? This question is premised on a faulty understanding of both Mormonism and Christianity. The clear implication of the way it was asked is that few other churches believe what the Scriptures say. Such is not the case. The vast majority of Christian traditions hold very strongly that these Scriptures have been, are being, or will be fulfilled. 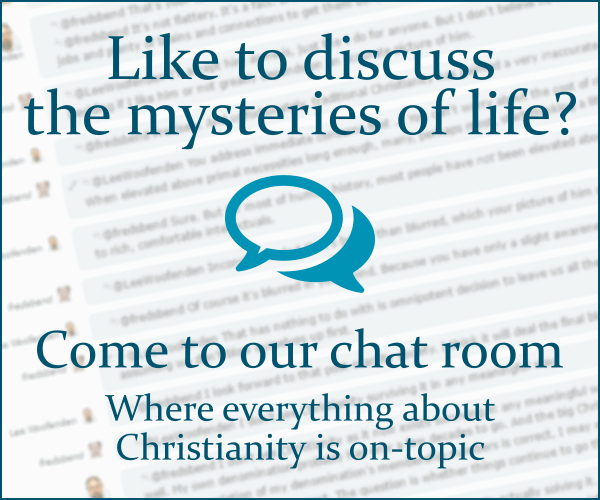 Considerable debate surrounds the exact meaning and the expectations of what this looks like vary considerably, but almost all branches of Christianity hold very core beliefs that Christ is indeed about the work of restoring all things and that such will come to complete fruition and after the last judgment. They also believe, almost universally, that this work has begun already and that the coming of Christ ushered in, at the very least, the start of that restored kingdom being made visible on earth. The issue here is not whether or not other Christians believe these Scriptures, but what they believe them to mean in the first place. Ironically it is Mormons, not other Christians, that take the larger departure in interpreting them. In my answer about whether Mormons are Protestants I briefly outlined how this departure came to be, but the birds eye view is that they believe in the apostolic succession of priests and that such a secession was completely lost, thus the church being non-existent. Furthermore they believe the Scriptures were unable to be understood apart from an authoritative interpretation of the apostles. The way they believe the church was restored involves new divine revelation separate from that of original Scripture and that succeeds it. They, of course, believe this to be bringing the correct interpretation to light, other Christians would say they are over-riding it as they see these new revelations as being in conflict with what was previously revealed. Thus the question that must be asked is not whether other Christians believe these verses to be true and accurate, but whether the LDS's commentary on their meaning is correct, or mainstream Christianity's. That is not a question for this site to answer (we don't do truth question) but hopefully this can at least help clarify what the issue actually is and where the groups stand in relation to each-other. For further study it would be appropriate to examine the actual hermeneutics employed by each group to arrive at their respective interpretations. Not the answer you're looking for? Browse other questions tagged lds prophecy restoration or ask your own question. Is “Mormon” a disrespectful term? Is it against the LDS Word of Wisdom to use marijuana as medicine? What core LDS doctrine(s) contradict the Protestant doctrine of salvation by grace through faith? Did the LDS believe that Christians are doomed to hell? Why was the gift of the Holy Ghost not operative during Christ's mortal ministry according to LDS doctrine? On the topic of marriage in heaven, how does the LDS church reconcile Matthew 22:23-33?